We wanted to have ability to prototype Django projects/applications with some basic set of templates and thats why django-richtemplates was created. We use it for our company’s intranet applications but it can be also easily used for example projects in other Django pluggable applications. Sources may be found at bitbucket. You may file a bug there, too. 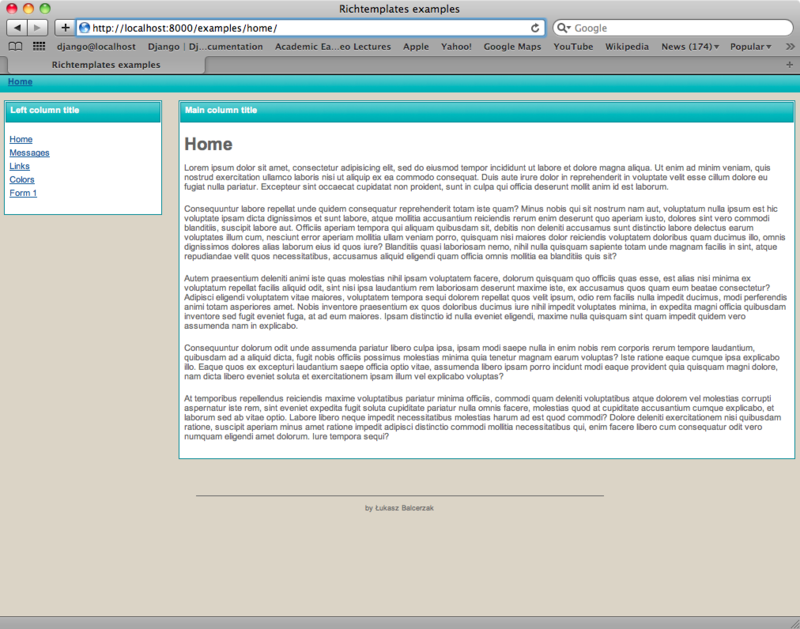 django-richtemplates is an open source project released under MIT license. Copy of the license should be boundled with source code archive. © Copyright 2010, Lukasz Balcerzak. Created using Sphinx 1.1pre.